The 4m Water Bottle Rocket Launcher kit comes with everything kids will need to launch bottles up to 90 feet using water pressure and air pressure. 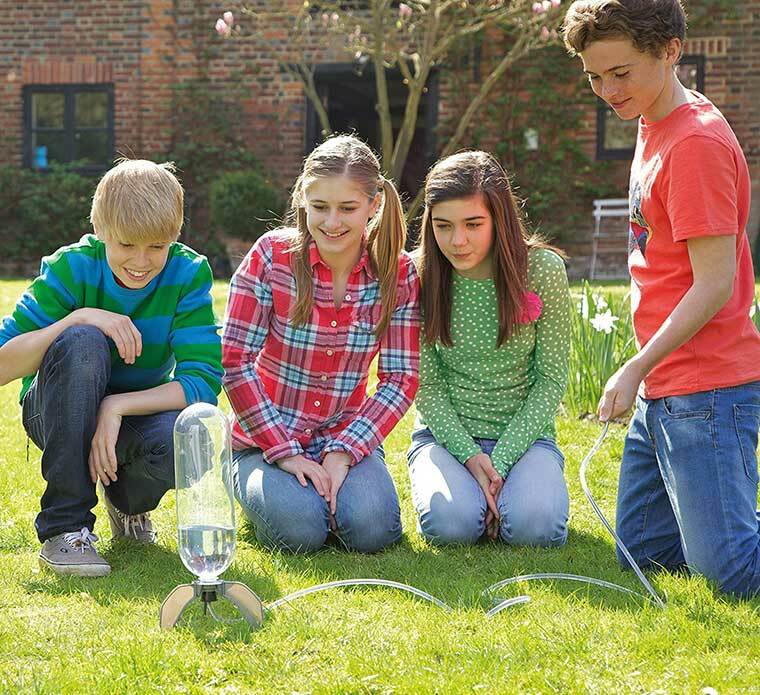 The kit allows kids to build the bottle rocket on their own, however adult supervision is recommended. Kids will have a ton of fun with a build your own water rocket kit. As we said before the rocket operates solely offer water pressure. Kids get to watch physics and science in action. It requires an air pump to launch, which is not included with the kit. Basically any old air pump will do, but if you don’t have one you might want to just pick up a cheap bicycle pump along with it. You can pick both up on Amazon for pretty cheap. If you’re looking for a different type of toy or gift that is actually hands on and educational, then a water bottle rocket launcher kit is a home run. 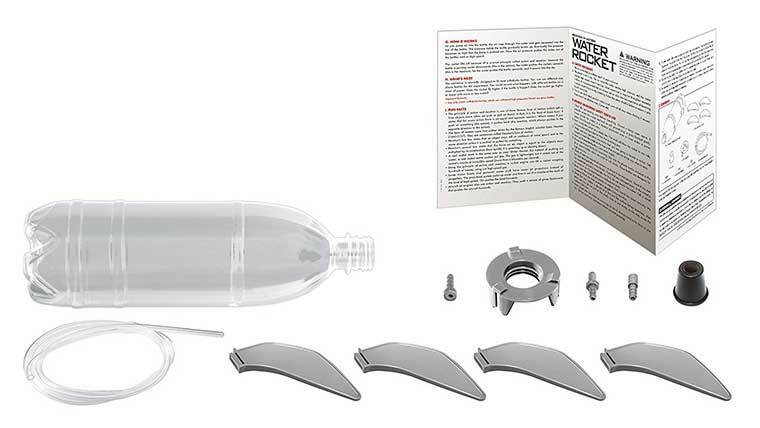 The bottle rocket kit contains a plastic bottle, 4 fins (1 spare), a pump connector, extension pipe, bung connector, and detailed assembly instructions. If you have any questions about this toy let us know below. The 4m company also has a lot of other great hobby rockets you might also want to check out.